SOUTHERN UTAH – The growing bald eagle population in Utah provides bird enthusiasts with more opportunities to observe these regal raptors in the wild. 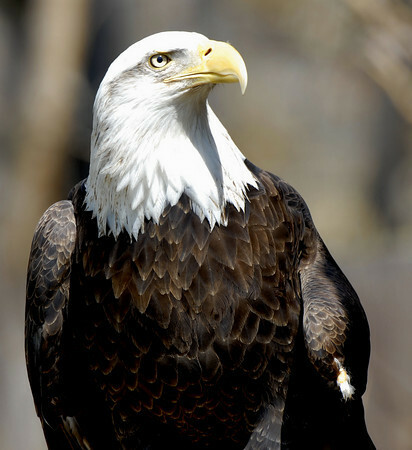 The bald eagle, or “Haliaeetus leucocephalus,” is native to North America and can be found throughout the United States, Canada and some parts of Mexico. It is also our national bird, as seen on the Great Seal of the United States, the Seal of the President of the United States and many other government emblems. Bald eagles faced a critical population decline in the mid-20th century due to factors including pesticide and heavy metal poisoning, habitat destruction and illegal shootings. They were declared endangered by the International Union for Conservation of Naturein 1967, prompting the government to increase penalties for those who violated the birds’ safety. The banning of the pesticide DDT in 1972 marked the beginning of a massive resurgence in bald eagle numbers over the next two decades. They were removed from the IUCN Endangered Species list in 1995 and from the Threatened Species list in 2007. Despite their impressive recovery, bald eagles remain a rare sight in Utah. According to a 2005 study by the Utah Division of Wildlife Resources, there were only 10 nests in the entire state; there are now 17. Though bald eagles migrate to Utah from Canada, Alaska and northern states, most do not stay for the winter. In Washington County, they can be viewed in Enterprise and occasionally along the Virgin River. Groups of several hundred are often seen near Cedar City and other parts of Iron County. UDWR hosts many programs to help keep the public educated about bald eagles and their conservation, including the annual Bald Eagle Day in mid-February. They will also be conducting a bald eagle watch in Westwater Canyon near Moab at the beginning of March. Photographers are invited to accompany a wildlife biologist to observe the birds as they mate and begin constructing their nests. We see several bald eagles in the winter every day between Hatch and Panguitch. They pair up in the spring and then leave until next winter.